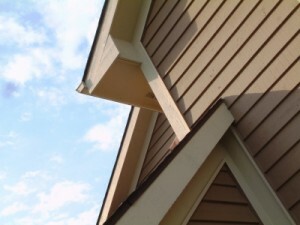 The installation of new house siding can be a worthwhile investment for your residence in the Pensacola, Florida, area. Siding can improve the curb appeal of your home, enhance its energy efficiency, and increase its durability, as it forms a sturdy barrier to protect your home from the elements. Majors Home Improvement, a local, family-owned home improvement company, is proud to install house siding from Norandex, a leading manufacturer in the industry. What’s more, you’ll receive exceptional service from beginning to end. You can expect professional installations from our factory-trained technicians, personalized customer service, and warranties that protect both parts and labor. Plus, we hold an A+ rating with the Better Business Bureau, an accolade earned by us due to our dedication to our customers and their satisfaction. So, turn to the professionals at Majors Home Improvement for house siding in Pensacola, FL, or a surrounding city. When you do, don’t forget to inquire about our financing opportunities for qualified homeowners.